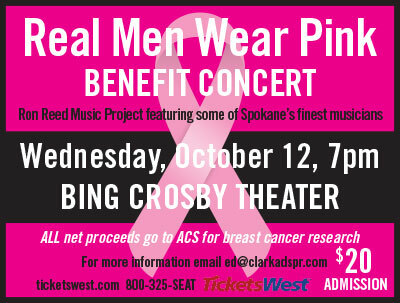 The American Cancer Society's Real Men Wear Pink group team up with the Ron Reed Music Project, for a benefit show at the Bing at 7pm, Wednesday, October 12. All net proceeds go to fund breast cancer research. The band features some of Spokane's finest musicians, including Joe Brasch, Tera Brasch, Keleren Millham, Pat Barclay, David Nordstrom, Danny Cox, Chris Grant, Danny McCollum, Charlie Butz and more. Contact Ticketswest now at www.ticketswest.com or 800-325-SEAT. Nectar Tasting Room, at 120 N Stevens is changing business models in 2017 and becoming Nectar Catering and Events, concentrating more on the event business. Nectar will still maintain its focus on Washington wine but with new liquor licensing, the business will now be able to feature any Northwest wine and will add craft beer on tap, instead of the five wineries they formerly represented. They will also begin weekday lunch service in the first quarter of next year and will be getting an interior face-lift with new furniture and equipment. They are also developing a new location for Nectar Wine and Beer that will be at 907 S. Perry on the first floor of a new two story building. The new location will be an identical business model as their current location in Kendall Yards, offering 16 craft beers on tap and 32 quality wines by the glass, as well as a retail selection of hundreds of regional beer and wine from around the world. Get more information at nectarkendallyards.com. 1889 Salvage. Fabulous and funky vintage finds. 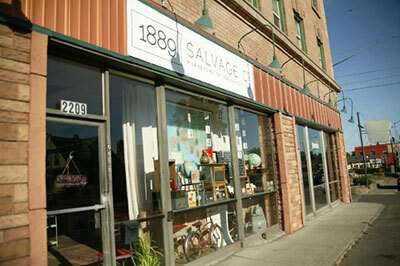 Gina Mauro has purchased The Lilac Shop in the N. Monroe Antiques District at 2209 N Monroe and renamed it 1889 Salvage Co. The unique store specializes in repurposed and re-imagined up-cycled vintage items for the home as well as offering decluttering, staging for real estate, vintage rentals and event styling. The offer 'fabulous and funky vintage finds' for your home. The 38th Annual Fall Home Idea Show is coming to the Spokane Fair & Expo Center Friday, October 7 through Sunday, October 9. Visit Spokane's best home-related displays showcasing the latest products and services for the inside and outside of the home, including building and remodeling, landscaping, design, decor and much more. Enter to win great door prizes, a trip for two, attend informative seminars and get expert advice on home remodeling, decorating and building needs. With the popularity of 'Tiny Living', James Nabors, of Whispering Creek Structures will feature one of his Tiny Log Houses. Catholic Charities has purchased the Holy Names Convent buildings and a portion of its 65 acre Spokane Campus on Fort George Wright Drive. They plan to use the facility for an innovative social services program in a unique collaboration with Empire Health Foundation. 'Rising Strong' is a project that will aim to reduce the number of children being removed from their homes by Child Protective Services. In addition, Catholic Charities will use a portion of the property to develop affordable housing for both seniors and families. 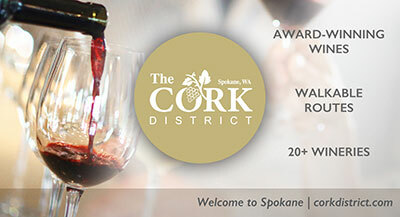 The Inland NW Business Travel Association is holding their annual Harvest Moon & HalloWine Auction at Mirabeau Park Hotel & Convention Center on Friday, October 7, beginning at 5:30pm. A portion of the proceeds from this auction will benefit Northwest North Pole Adventures Spokane Fantasy Flight. The cost is $50 per person. Spokane Fantasy Flight provides a magical trip to the North Pole for some very special children from area shelters and community programs. They are flown to the North Pole for an evening of surprises. For more information on NW North Pole Adventures, visit www.nwnorthpole.com. To purchase tickets for this event, visit www.inbta.org. Enjoy a bowl of soup and help support the Arts in Healing program at Providence Sacred Heart Medical Center and Children's Hospital. Over the past five years, Soup for the Soul has raised nearly $17,000 to integrate art therapy into a patient's hospital stay. 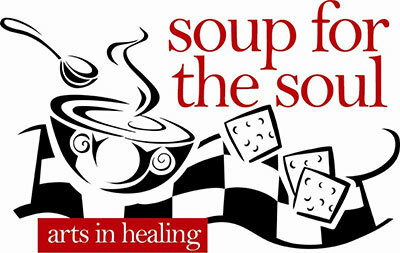 Every Wednesday in October, participating area restaurants donate a portion of their soup sales to Soup for the Soul. Research indicates that creative therapies lessen stress and anxiety, reduce the need for acute pain management, shorten hospital stays and provide a crucial element in the healing process, especially for children. For many patients, Arts in Healing has made hospitalization and treatment tolerable. The mother of a pediatric cancer patient writes: "There were days while here at the hospital that jewelry making, craft projects or drawing and writing were the only things that would motivate her to interact or talk with others. She had become very self-conscious as she had lost her hair twice while going through treatment. These activities were the perfect distraction for a little girl afraid to present herself to the world as a cancer patient." *Donating proceeds during entire month of October, not only on Wednesdays. 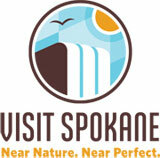 Visit Spokane is moving their offices to the 10th floor of the Wells Fargo Building at 601 W 1st Avenue effective today. The kiosks located in River Park Square and at the Spokane International Airport will not be impacted by the office move. The Spokane Home Builders Association has announced new home construction awards for the 12th Annual Fall Festival of Homes. The Best Overall awards were given to: Greenstone Corp., Stonehill Builders, Condron Homes LLC, Morse Western Homes LLC, Lawrence Custom Homes Inc., Construction Services, a division of On-top Realty Inc., and Ted Miller Construction. The Best Architectural and Interior Design honors were given to: Greenstone, Stonehill Builders, Condron Homes, Morse Western Homes, Lawrence Custom Homes, Construction Services, and Ted Miller Construction. The Best Kitchen category was won by: Stonehill Builders, Greenstone, Condron Homes, Morse Western Homes, Lawrence Custom Homes, Construction Services, and Paras Homes. The Best Master Suite winners were: Stonehill Builders, Greenstone, Condron Homes, Contempo Homes, Construction Services, and Ted Miller Construction. Best Landscaping awards were won by: Condron Homes, Morse Western Homes, Lawrence Custom Homes, Construction Services, and Ted Miller Construction. Best Use of Technology winners were: Stonehill Builders, Greenstone, Condron Homes, Morse Western Homes, Lawrence Custom Homes, Construction Services, and Ted Miller Construction. Gesa Credit Union kicks off their North Spokane Grand Opening at their newest location, located at 9625 N. Newport Hwy., from October 6-8. Visitors have the chance to take a tour of this new location, enjoy free lunch, and take advantage of great prizes, game-changing specials, giveaways & more. Join Gesa at half-time every day from 11am-1pm. Events will take place at the North Spokane Member Service Center parking lot. Visit gesa.com for details. A Community Business, Health & Resource Fair will take place this Saturday, October 8 at the Southside Community & Senior Center, 3151 E 27th Ave, from 9am to 3pm. Check out resources and businesses you may need now or later. Meet representatives and get information from a variety of businesses and agencies including retirement living options, in-home care providers, healthcare options, financial advisors, real estate advisors, real estate lawyers, insurance experts, funeral homes, hospice, and many others. Admission is free. Attendees also have chance to win a $$200 cash prize. An $8 lunch will be available. 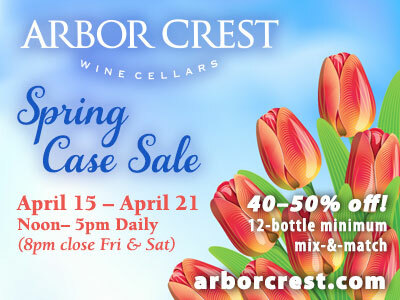 For more information, call 509-535-0803. 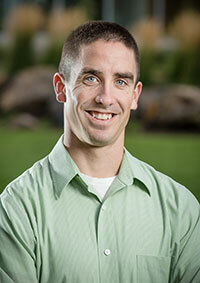 Darren Teal has recently been promoted to Associate at SPVV Landscape Architects. Since joining the company in 2012, Darren has brought his expertise and creativity to a range of projects in our community and throughout the region. He has provided landscape and irrigation design services for a wide variety of projects, including the Antoine Peak Trailhead, an expansion at Prairie View Park, Lincoln/Monroe Complete Street, Division Street Gateway, Mullan Road Elementary School, Spokane Public Schools' Hart Field, and several United States Embassies. For more information, visit www.spvv.com.